An interlocal agreement over the Madero Bridge project was put on hold Monday when Mission City Council members became apprehensive over the terms that essentially left Mission responsible for all financial obligations — a shift from the original agreement made with two other cities. Deputy City Manager Aida Lerma presented an amendment to the agreement made between Mission, McAllen and Hidalgo to build a new international bridge during a city council meeting on Monday. The amendment stated Mission, in conjunction with the Madero Bridge Board, would have to find additional funding sources if revenues generated by the bridge were insufficient to cover the cost of the maintenance, operation, or debt service. Additional sources could include the issuance of bonds. However, some of the council members wondered if the responsibility couldn’t be shared more evenly with McAllen. The city obtained a presidential permit in 1978 for construction of an international vehicular and railroad bridge. With the permit set to expire in 2021, the city has been working to make substantial progress in hopes of getting an extension. During a December presentation of a feasibility study, the installed cost of the project was estimated to be about $114.1 million. The idea is to have the federal government pay $70 million while the non-federal sponsor — be it the city or the bridge board — pay for $44.1 million. Mayor Armando O’Caña assured that after 2021, officials from Mission and McAllen would “regroup” over the financial obligations. The agreement, however, did not make reference to any regrouping in the future, according to interim City Attorney Bob Galligan, who reiterated that the agreement indicated Mission would cover the cost of the bridge with the expectation that the city would be paid back through the revenues. Mission has already partnered with McAllen, as well as the city of Hidalgo, for the construction of the Anzalduas International Bridge. In their agreement for Anzalduas, the city of McAllen, through the Anzalduas Bridge Board, holds most of the financial responsibility. Rigo Villarreal, who runs operations at the Anzalduas and McAllen-Hidalgo international bridges, said on Tuesday that the agreement for Madero was essentially the agreement for Anzalduas but in reverse. As the main stakeholder, McAllen receives revenues from the Anzalduas bridge to help cover the debt that stemmed from its construction. 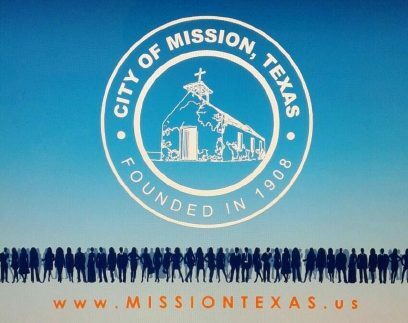 Mission, a partner on the bridge, has yet to receive any payments because Anzalduas has yet to make any money, according to McAllen Mayor Jim Darling. For Madero, however, Lerma said Villarreal told her that McAllen “was not willing to expense any more money on this project at this time” and that’s why the agreement for Madero was being amended. “Then this doesn’t sound like a proper agreement to me,” council member Gus Martinez said in response. Regarding Lerma’s comment, Villarreal said on Tuesday that she could have misinterpreted his words and noted that McAllen already spent $699,000 on the feasibility study. When asked if McAllen would be open to shouldering more of the responsibility for the Madero Bridge, Villarreal said the city or the bridge board would have to answer that. Darling said the proposed amendment for the new bridge came from Mission. Originally, McAllen was slated to be the lead entity and hold a majority stake in the Madero bridge, but after O’Caña became mayor in June, the city wanted to take the lead on the project. The Mission council ultimately voted to table the item until their next regular meeting. Council member Jessica Ortega-Ochoa, who sits on the board for the Madero Bridge, said she requested that the city hold a workshop so that they could all be on the same page. “I think it’s really important that all of us know all the facts before we move forward on this project that’s going to make a huge impact on our city,” she said. Ortega-Ochoa said she always strives to be fiscally responsible and would like the mayor and the council to look into other projects the city could be known for, including the city’s hike and bike trail and their dog park, which opened earlier this month. However, Ortega-Ochoa said she understood the mayor’s vision for the bridge, particularly because of the increasing traffic congestion, and looked forward to having a workshop to get a sense of where the council stands.